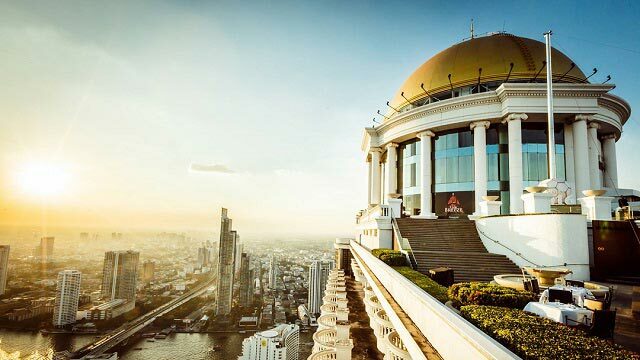 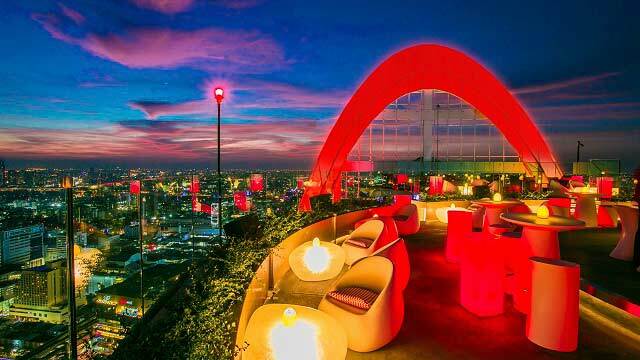 From the Octave rooftop bar you get Bangkok's best 360-degree view. 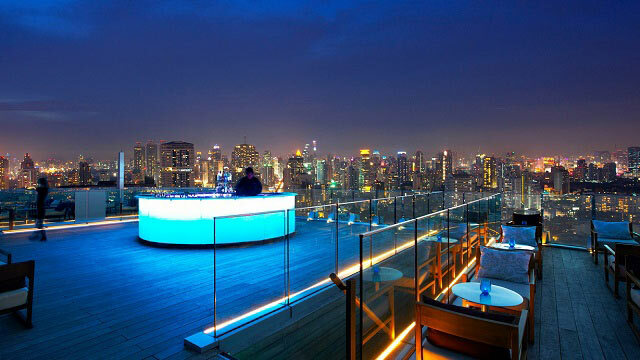 Octave Bangkok is one of the highest alltitudes in Bangkok (and one of the best) to drink cocktails and party with a view. 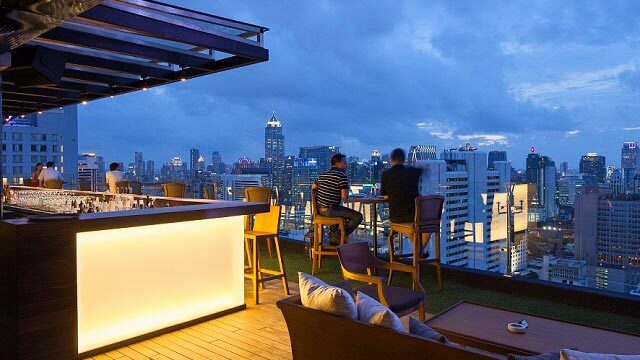 Resident DJs create a nice lounge vibe every night of the week. 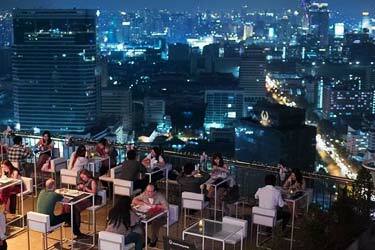 The terrace at Octave Marriott Bangkok itself is on 3 entire floors, so there is plenty of seating. 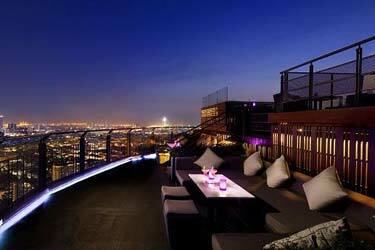 The Octave Rooftop menu and cocktail list is very good and can be found on their website. 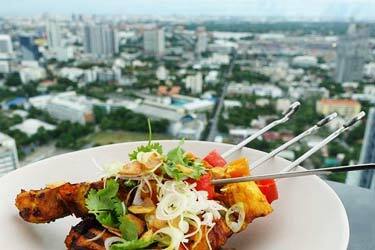 It contains alot of asian bar bites, a seafood bar and some grill dishes, along with signature cocktails like a refreshing Thai Mojito. 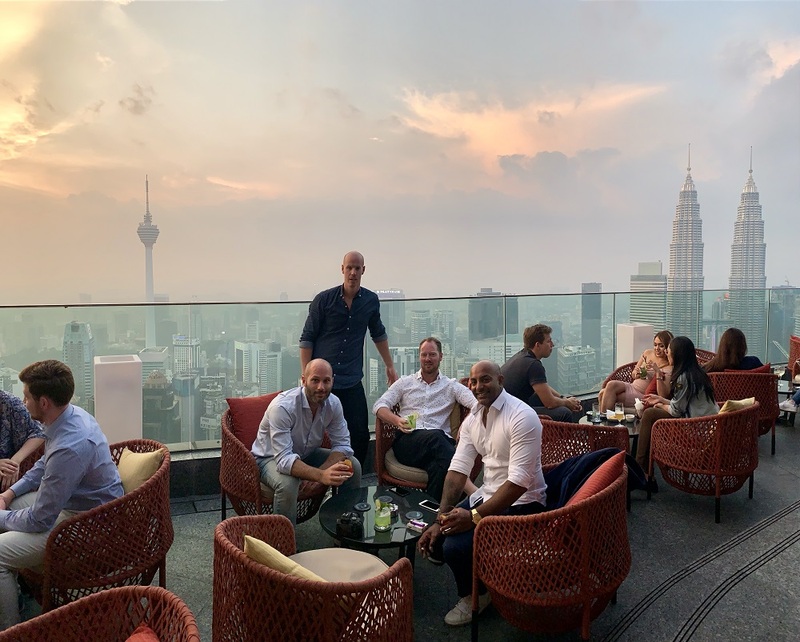 What is the dress code at Octave Rooftop? 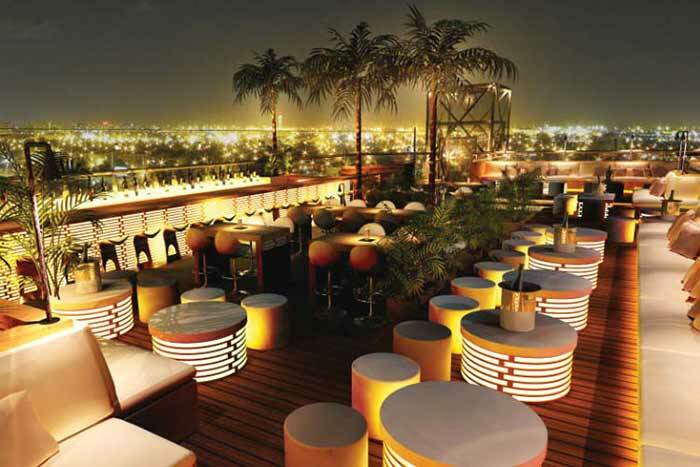 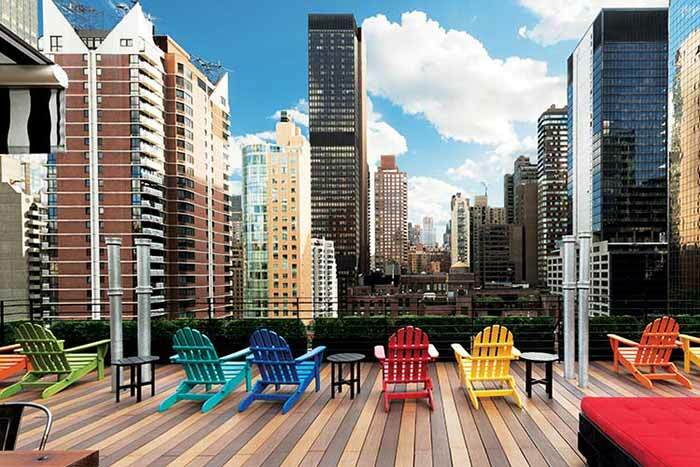 The Octave rooftop bar dress code is smart casual - both during the day and night. 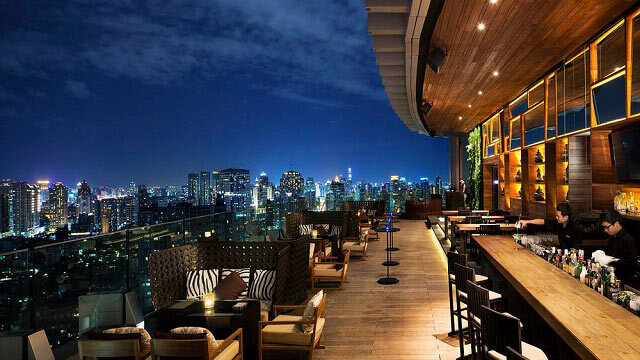 So, make sure to dress neatly to blend in at the stylish Octave Sky Bar Bangkok. 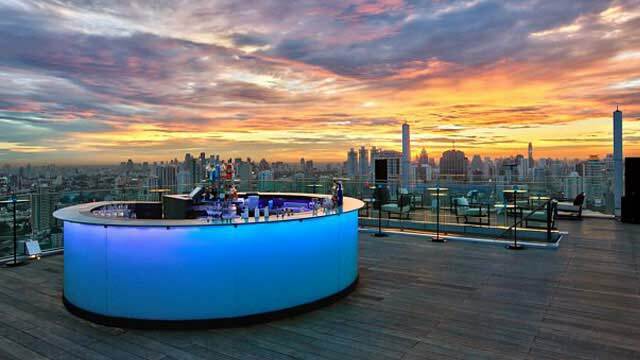 A very popular place among all the sky bars in Bangkok that you can search for here, so make sure to book a table in advance or be here right after opening. 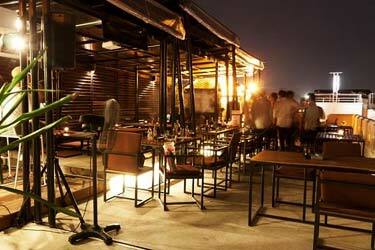 Tip: One night might not cut it to get through all the 3 floors at Octave. 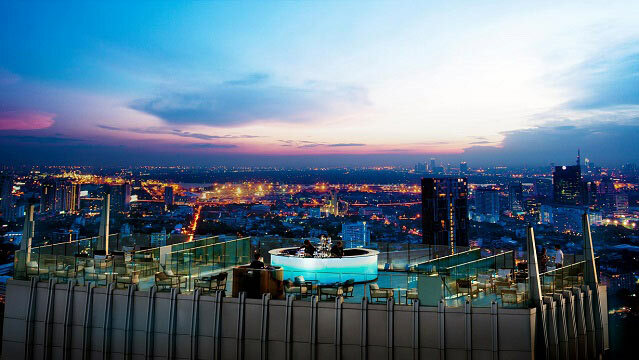 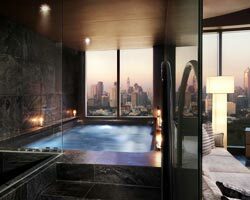 So treat yourself a couple of nights at the amazing 5-star Bangkok Marriott Hotel Sukhumvit, and get a lovely rooftop pool as a bonus.